No prizes for guessing the dosai for today. Q has too few options to debate over and so quinoa is a foregone conclusion. Usually I make quinoa dosai with rice flour and little wheat flour and the results are quite good. But this time I had some batter leftover after yesterday’s Patishapta Pitha and so I decided to modify that to make this Quinoa dosai. 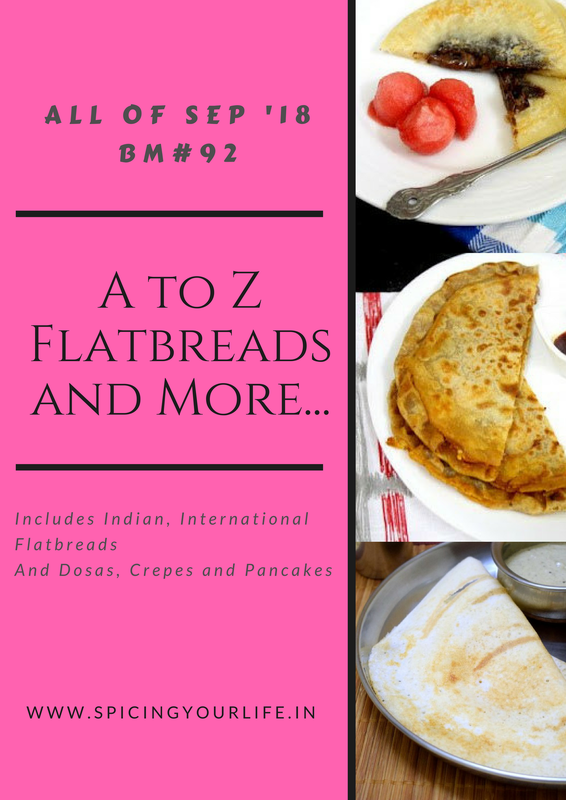 There are primarily two popular ways to make dosais with varied flours. One is to mix rice flour with it and the other is to mix semolina. There are few other ways but you can safely mix any flour you have with either rice flour or rava and make tasty dosais. If you add curd along with the rava then the results are a soft dosai in the centre and a crisp edge. How lacey this quinoa dosa looks. This instant version quinoa dosa sounds very easy to put all the ingredients and make this much fabulous dosas na.. Mimicking the rava dosa with quinoa is a fantastic take on quinoa dosa. The lacey look of the dosa is awesome. Today is quinoa day for sure. Your version of quinoa and rava looks amazing Sowmya. That is a nice tip on making different dosas. These lacey dosas have turned out beautiful. yeah its quinoa day today. I am also planning to make this dosa very soon.came out really nice like rava dosa. I am in love with quinoa now after making roti. will keep exploring it. Q is a tough one to crack and Quinoa is a perfect pick for the alphabet . The Dosa looks extremely wonderful , and sounds so delicious , I could never have thought of anything like that ! Such a beautiful lacy dosa Sowmya.. and its looks crispy. A lovely recipe that I’d love to try out. Yummy health and delicious dosa. They look so crispy. Would love to have some with my adrak wali chai. The texture of you quinoa has turned out so lacy and nice..I was wondering how come and now I know..will surely try this method as I have slash to complete..very nicely done!..the pictures have come out too good Sowmya..love the black backdrop.. I love the the lacey dosai with quinoa. I have never tried the instant variety with the quinoa flour. I will try this soon! Quinoa seems to be the choice of the day! These dosas look so nice , just like rava dosa and I have a wee bit of quinoa left and will try this one!